I'd like to thank everyone who joined the Insurance Workgroup last week. It was good to hear so many new voices and see so many new names. We've climbed to roughly 25 active members in the group. Among those we had brokers, underwriters, software and analytics solutions vendors, insurance buyers from healthcare, finance, retail, and hospitality, as well as some seasoned InfoSec consultants - truly a well-rounded group. 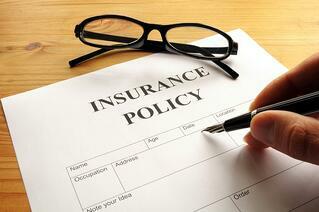 A FAIR-informed underwriting application form for cyber risk insurance. Mapping the cyber insurance buying decision and developing better communication strategies with each relevant stakeholder in the cyber risk insurance conversation. Helping the SME/SMB, quickly understand their cyber exposure. So, here's the to-do list this week... pick a project group to join (or multiple if you have the time and interest) and respond via this email with your preference. That's it! From there we'll follow up with invitations on the online forum and get rockin'. If your time is truly limited but you want to keep an eye on the workgroup's progress, that's alright too, our future workgroup calls will be opportunities for these project groups to present and for some intense Q&A. 'Til next time, enjoy your holidays!